Four members of the city council on Tuesday evening said they would bring the earned sick pay ordinance being pushed by a group of grassroots organizations for a vote in the council without forcing the issue in a ballot initiative. “I want to sponsor this as an ordinance,” said Maritza Davila, councilwoman at-large. “I’ll second that,” said Andre Sayegh, 6th Ward. Less than a month ago, there was little support from council members to sponsor the ordinance. Davila two weeks ago pushed for the initiative to move forward as a ballot question, but clearly there was a change of heart. Mejia said often workers come to work sick because they cannot afford to miss a day without risking their employment. The director said this ordinance will grant sick workers the ability to remain home, thereby preventing the spread of infectious diseases. The ordinance will force small businesses to offer three sick days per year; larger businesses will have to offer five sick days per year. “This is not something that is given, but earned,” said Mejia. She explained for every 30 hours worked, a worker can earn one hour of sick pay. 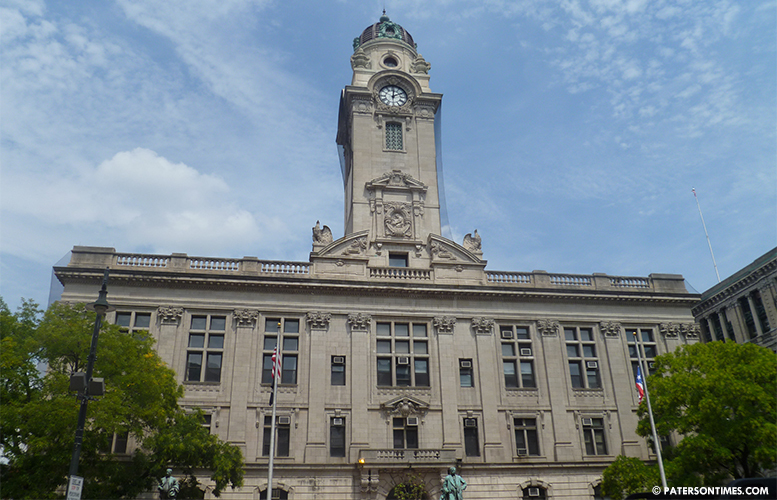 The organization and its allies, New Jersey Citizen Action and New Jersey Time to Care Coalition, estimate if the ordinance passes in the city and neighboring Passaic it will cover 53-percent of workers without earned sick time in Passaic County. Council members asked Mejia to explain the details of the ordinance. “What happens to the accrued time if the employee is no longer employed?” asked Kenneth Morris, councilman at-large. Mejia explained there is no cash out option, so an employee who leaves a place of employment or is terminated before becoming eligible to use the earned sick time loses that time. The worker begins accruing sick time from day one, but cannot use the benefit until 90 days later. The council is set to vote on the ordinance without a second reading, for officials said an initiative with over 4,000 petitions itself serves as a first reading by residents. “These local initiatives will deliver real economic security to working families in Paterson and Passaic, and we are glad to see elected officials in both cities preparing to fast-track this initiative with a vote next month,” said Phyllis Salowe-Kaye, director of the New Jersey Citizen Action.